Although most of the Society's discoveries come from distant lands and enter through Absalom's harbor, some of the greatest discoveries appear in the metropolis's backyard. When an extraordinary relic surfaces in the nearby town of Diobel, the Pathfinder Society dispatches an agent to recover and transport it back to the Grand Lodge. That strategy fell through when the agent disappeared along the road to Diobel. The Pathfinders must learn what befell their comrade and recover the shipment—a task that will take them into the dangerous wilds of the island's interior. I will try to be there. My son has a major orthodontist appointment. Getting his braces on. It will depend on his mood afterwards. I am going to make fighter. Can someone send me a pdf of the level 5 build rules? I've got a wizard, alchemist and fighter at level. May have more by then. Use the following rules for creating your own character for Pathfinder Society Playtest adventures. With some exceptions, everything in the Pathfinder Playtest Rulebook is available when creating a character. Ability Scores: Use the ability score generation process described on pages 18–20 of the Pathfinder Playtest Rulebook. The Pathfinder Society Playtest does not use the optional systems for rolling ability scores or voluntary flaws. 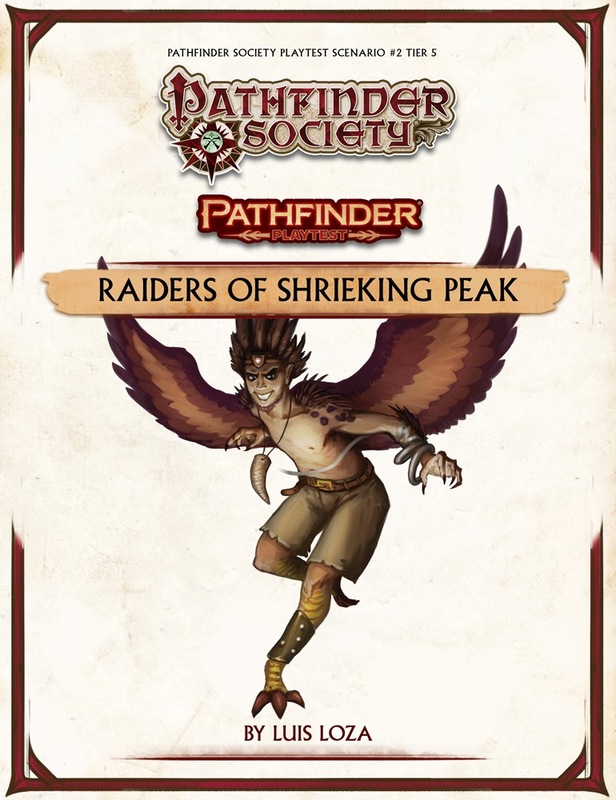 Ancestries: Choose one of the ancestries that appear in the Pathfinder Playtest Rulebook. Backgrounds: Choose either one of the backgrounds that appears in the Pathfinder Playtest Rulebook or one that appears on page 3 of Pathfinder Playtest: Doomsday Dawn. Classes: Choose one of the classes that appears in the Pathfinder Playtest Rulebook. Feats: All of the feats are available for use. Gear and Wealth: Your character begins with 150 silver pieces (sp) to spend as you like. Items with uncommon or rare rarities are not available unless you gain access to them with a character ability (for example, an elf with Weapon Familiarity gains access to uncommon elf weapons). Spells: Choose any spells that have a common rarity. Spells with uncommon and rare rarities are not allowed. Use the following rules for creating your own character for Pathfinder Society Playtest adventures. Except where noted, all of the rules for building a 1st-level character apply. Gear and Wealth: Your character begins with 50 gold pieces (gp). In addition, you begin with the following permanent items. Rarity: Your character may select one character option—a piece of equipment, a magic item, or a spell—that has the uncommon rarity. Any spell must appear on your class’s spell list; for example, a wizard cannot learn a bard’s inspire courage composition spell or a cleric’s fire ray domain spell, but he could learn nondetection. Gear and Wealth: Your character begins with 350 gold pieces (gp). In addition, you begin with the following permanent items.